At least it has been for me. That's somewhat of a surprise considering that I spent much of the first five months of this year on the road, flying to Alaska and New York and Alabama and a bunch of other exotic places giving talks about the Coded Craziness. I didn't think it could be any busier than it was during that little stretch of time. But this June, after spending two years looking in vain for the perfect house (ha!) to buy, my wife and I decided to build a house. We knew it wouldn't be easy, but we figured there were several positives to building new vs. buying used: we would choose the plans, we could afford about 25%-30% more house, and we could do as much work ourselves as possible. Amazingly, it actually worked out that way. And since the new house is only two lots away from the house we've been renting, it meant we could be over at a moment's notice to pester our contractor, pound nails, cut and paint, tile and grout, push and pull. That also was the case (thankfully, our contractor was a good sport about it). But November and December became increasingly hectic as we began to push, rationally or not, to finish before Christmas Day. Which is why I haven't been blogging nearly as much the past 6-8 weeks. So for those three or four of you who may have wondered where I've been: I've been performing feats of manual labor that nobody—not even my dear wife—could have imagined I would perform. Needless to say, my already robust respect for carpenters and builders has grown (although I do remain a bit ambivalent about plumbers), as has my love for my day job. Now there is both good news and bad news. Good news: the house passed final inspection on December 19th and we've been living in it since that momentous day. Bad news: 80% of our life's belongings are still at the old house. Good news: the old house is only two lots away. Bad news: the old house is two lots away. Which means, for example, that I can either carry armloads of some 5,000+ books over in the rain, or I can box all of them up, put them into a van, and drive them fifty yards, and take them into the new house. And that is exactly what will be happening over the next week or so, as I make the push to get into our new home entirely. All of this to say that I will soon be back at full speed editing, writing, blogging, and organizing my library according to my simple but effective system: Orthodox, Heretical, and Everything Else. My thanks to all of you, especially the regular readers of IgnatiusInsight.com and this blog, for spending time on the sites during 2006. The Volokh Conspiracy, one of the legal blogs I read regularly, provides a good example. The legal and economic analysis is generally libertarian, but the contributors also show a curiosity about history, jazz, etymology—a smart, fun, interested discussion of whatever comes to hand. An intellectuals’ sort of blog, yes? There exists an intellectual defense of science fiction, but what’s interesting is that the query produced a hundred comments and, as near as I can tell, not one of them attempts the intellectual defense. What they pursue, instead, is a systematic assault on the notion of literature. You can’t discount the American horror of appearing to be snob: Ordinary readers like science fiction, and we’re all just regular folk, after all. But what’s curious is the deployment of postmodern tropes: Some years ago, literature professors (of the MLA persuasion, anyway) turned against the whole idea of literature, the Volokh Conspiracy commenters note. So if even trained literary critics are unable to say what qualifies as literature, why can’t science fiction be literature? Does any science fiction qualify as literature, if we use Bottum's criteria? I think yes. But are we supposed to think no? I'm not sure. In any case, does any contemporary genre of fiction qualify as producing literature, if Bottum's criteria yields a no for sci-fi? It would seem not. How does contemporary literature compare to Shakespeare and Dante and Homer, etc.? On the other hand, if contemporary fiction can qualify as literature under Bottum's criteria it would seem some sci fi can as well. To be sure, we should agree that literature exists and that things produced by notables such as Homer and Dante and Shakespeare qualify as literature. Should we, though, in order to settle the question of whether sci fi is or can be literature begin by wondering whether any sci fi "stands near" such examplars? If the answer is yes, then of course sci fi can be literature if what Shakespeare et al. produced is literature. But if no, does the fact that sci fi has yet to produce a work "standing near" the greatest geniuses of literature mean sci fi has been disqualified as literature? Our purpose is to establish a new West Coast tradition of celebrating life. We call for solidarity among women and all people of good will in affirming human life. Our mission is to change the perceptions of a society that thinks abortion is an answer. Abortion does violence to women and to their children, both physically and emotionally. It harms women and men; it divides families and society. Women--and all people--deserve better than abortion. Our mission in establishing the Walk for Life West Coast is to shed light on all issues of life, but particularly to change hearts hurt by the violence of abortion. Life is the best and only good choice! On January 20, 2007, to be a vocal and visual message that people of the West Coast stand for life. Reach out to women harmed by abortion. Inform society of the damage done to women by abortion. Join us as we walk along San Francisco's waterfront, a great example of natural and manmade beauty, as we demonstrate for that most beautiful gift--life! We call upon all people of good will to join us! The farewell discourses of Jesus, as the Gospel of John presents them to us, hover in a singular way between time and eternity, between the present hour of the Passion and the new presence of Jesus that is already dawning, because the Passion itself is at the same time his "glorification" as well. On the one hand, the darkness of the betrayal, of the denial, of the abandonment of Jesus to the ultimate ignominy of the Cross weighs upon these discourses; in them, on the other hand, it seems that all of this has already been overcome and resolved into the glory that is to come. Thus Jesus describes his Passion as a going away that leads to a new and fuller coming–as a state of being-on-the-way with which the disciples are already acquainted. Thereupon Thomas, surprised, asks the question, "Lord, we do not know where you are going; how can we know the way?" Jesus answers with a statement that has become one of the central texts of Christology: "I am the way, and the truth, and the life; no one comes to the Father, but by me." This sketch of the human story began in a cave; the cave which popular science associates with the cave-man and in which practical discovery has really found archaic drawings of animals. The second half of human history, which was like a new creation of the world, also begins in a cave. There is even a shadow of such a fancy in the fact that animals were again present; for it was a cave used as a stable by the mountaineers of the uplands about Bethlehem; who still drive their cattle into such holes and caverns at night. It was here that a homeless couple had crept underground with the cattle when the doors of the crowded caravanserai had been shut in their faces; and it was here beneath the very feet of the passersby, in a cellar under the very floor of the world, that Jesus Christ was born But in that second creation there was indeed something symbolical in the roots of the primeval rock or the horns of the prehistoric herd. God also was a CaveMan, and, had also traced strange shapes of creatures, curiously colored upon the wall of the world ; but the pictures that he made had come to life. A mass of legend and literature, which increases and will never end has repeated and rung the changes on that single paradox; that the hands that had made the sun and stars were too small to reach the huge heads of the cattle. Upon this paradox, we might almost say upon this jest, all the literature of our faith is founded. "The Mystery Made Present To Us" | Fr. Alfred Delp, S.J. The following is an excerpt from Advent of the Heart: Seasonal Sermons and Prison Writings by Alfred Delp, S.J., priest and martyr. The meaning of our Christian holy days is not primarily our external holiday celebration, but that particular mysteries of God happen to us, and that we respond. Something in the deepest center of our being is meant here, more than the exterior symbols can even indicate. Anyone who lacks spiritual eyes, and whose soul has not become open and watchful, will not understand the reason we are so often festive in the cycle of the liturgical year. The Church stands before us with great gestures and great pomp and ceremonial rites. This is only an attempt to indicate something that reaches much deeper and must be taken much more seriously. We need to celebrate holy days in three ways. First, by recalling a historical event. The feasts are always based on verifiable, historical facts. We should not just get carried away with unbridled enthusiasm. What is really going on? This is a question of discernment and recognition. Seen from God's perspective, there is always a clearly defined event connected to the mystery, a clear statement intended, a fact. This brings us to the second point. Within all of the foregoing, a great mystery--the Mysterium--is hidden. Something happens between Heaven and earth that passes all understanding. This mystery is made present to us, continues in the world till the end of time, and is always in the process of happening--the abiding Mysterium. "Faithfulness to the Depositum fidei as presented by the Church's Magisterium is the premise par excellence for serious research and teaching. This faithfulness is also a requirement of intellectual honesty for anyone to whom the Church entrusts an academic teaching role." -- Benedict XVI to German Bishops, November 10, 2006. "Let us return, therefore, to the subject of 'God'. The words of St. Ignatius spring mind: 'The Christian is not the result of persuasion, but of power' ('Epistula ad Romanos' 3, 3). We should not allow our faith to be drained by too many discussions of multiple, minor details, but rather, should always keep our eyes in the first place on the greatness of Christianity." -- Benedict XVI to Swiss Bishops, November 9, 2006. This coupon expires on December 26, 2006, so use it while you can! Two of the worlds great contemporary thinkers--theologian and churchman Joseph Ratzinger, now Pope Benedict XVI, and Jurgen Habermas, philosopher and Neo-Marxist social critic--discuss and debate aspects of secularization, and the role of reason and religion in a free society. These insightful essays are the result of a remarkable dialogue between the two men, sponsored by the Catholic Academy of Bavaria, a little over a year before Joseph Ratzinger was elected pope. Jurgen Habermas has surprised many observers with his call for "the secular society to acquire a new understanding of religious convictions", as Florian Schuller, director of the Catholic Academy of Bavaria, describes it his foreword. Habermas discusses whether secular reason provides sufficient grounds for a democratic constitutional state. Joseph Ratzinger/Benedict XVI argues for the necessity of certain moral principles for maintaining a free state, and for the importance of genuine reason and authentic religion, rather than what he calls "pathologies of reason and religion", in order to uphold the states moral foundations. Both men insist that proponents of secular reason and religious conviction should learn from each other, even as they differ over the particular ways that mutual learning should occur. For those who do not know, Habermas is one of the most famous, notorious and brilliant social thinkers of our age. Influenced by the Frankfurt School of Critical Theory, which was made known to the world through the works of Horkheimer and Adorno, Habermas has been a constant critic of the excesses of capitalist Western culture and its consumerist industry. He is reknowned for the development of his theory of communicative reason, which seeks to discover the seat of reason in discourse among subjects rather than in the cosmos (Greek) or the knowing self (modernism). An avowed atheist and neo-Marxist, Habermas has recently commented on the manner in which Christianity alone can serve as the matrix for the preservation of Western values. He and Pope Benedict have come to agreement on a number of socio-political issues as the Pope mentions in his Values in a Time of Upheaval. As someone who will be studying social and political philosophy at Texas A&M this spring, I look forward to this publication. I will warn you, however, Habermas is no walk-in-the-park. Only Spinoza's Ethic and Kant's critiques have rivaled the kind of arid and esoteric reasoning found throughout Habermas' writings. Nevertheless, it will be quite a ride witnessing the dialogue between two of the greatest minds of Europe today. 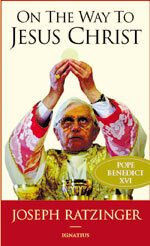 The book is not yet available on Ignatius.com, but should be soon. Stay tuned. The Turkey Trip: Did it help? Is Turkey setting an example for other Muslim-majority countries to become freer? I don’t know. With Turkey, we have to be careful not to get too enthusiastic in viewing it as an example of a typical Muslim country because it’s always had its own particular brand of moderate Islam. Ali Bardakoglu, Turkey’s director of religious affairs, has said the Pope was “doing an injustice” to Turkey by exaggerating the problems of Turkey’s religious minorities. What’s your response to this view? There are many countries where people are outright persecuted and thrown into jail, tortured or killed, and that’s not the case in Turkey. Still, there are restrictions that make it hard for the Christian churches to school their children and to train their leaders. If you can’t have a seminary in the country, that’s a restriction. And while there is no strict anti-proselytism legislation in place, I was told by a priest who for a time was placed at the House of Mary in Ephesus, that when people come and ask them for Bibles, the recipients sign a statement stating that they asked for them. For a Muslim to convert to Catholicism, you need to be 18 and it mustn’t be the consequence of proselytism; so just to be sure, the priests don’t want it to seem as though they were handing these Bibles out on the street, but that the people came and asked for them. That indicates that Turkey is not a place where there are no problems for Christian churches. But at the same time, if they do hand out Bibles, it doesn’t mean they’ll be thrown into prison and tortured. So let’s keep it in perspective. Yes, I suppose we should, as with any issue as complex as this one. But if Turkey is practicing a certain "brand of moderate Islam" and yet existence there is difficult (even if not necessarily deadly) for Christians, doesn't that raise even more questions about both moderate and not-so-moderate Islam? According to CCTV, the country’s Catholic community numbers some five million members, but unofficially AsiaNews and the diocese of Hong Kong estimate the real number to be closer to 12 million. Many are forced to meet in places of worship different from those of the official Church. In spite of formal constitutional protection official Churches are guaranteed a minimum level of freedom of religion, but underground worshipers still face violence and arrest. Meanwhile the official Church is stepping up its Christmas-related activities. In St Peter’s Church in Shanghai, a medieval English Christmas play was presented last Sunday. About 120 people took part, of all ages, walks of life and social status, hailing from 15 countries as different from one another as Australia and Zambia. A one-month old baby, the youngest parishioner, played the role of the Christ Child. For more about the state of Catholicism in China, read this IgnatiusInsight.com interview with with Fr. Daniel Cerezo, Comboni Missionaries of the Heart of Jesus. If wonder is the beginning of philosophy and the first step toward knowledge, Dr. Kreeft is a teacher and writer who whets the intellectual appetite and provides a banquet for the mind that resembles the cornucopia of Tolkien’s great universe. Kate O’Beirne exposes the damage that radical feminists have imposed on the most valued institutions in America and the lies they’ve used to perpetrate their agenda. O’Beirne relies on quantitative data to debunk the alleged wide support the movement claims to enjoy. She also unveils the true goal of the granddames of the movement — androgyny, a silly notion which denies the inherent differences between men and women. The free sample article from the December 2006 HPR is now online! It's entitled "Why Do Catholics Become Evangelicals? ", by fr. Gerald Mendoza, O.P. The problem of Catholic flight to Evangelical Protestant denominations is exacerbated by the vast number of non-practicing Catholics who in raw numbers constitute a group larger than—with the exception of Baptists—any other Christian denomination in the United States. As we shall see, the abandonment of practicing one’s Catholic faith is one of the greatest determinants as to whether one will leave the Catholic Church for an Evangelical Protestant one, or not. Catholic leaders often blame Protestants for proselytizing Catholics and commend Catholicism for its “richness.” However, the Catholic Church needs to face the embarrassing question of why so many millions of Catholics around the world are finding a reality of Christian life in Evangelical and Pentecostal churches that they did not find in their local Catholic church. "Lord, teach us to pray" | Gabriel Bunge, O.S.B. When we compare the amount of information available about the person of St. John of the Cross with what we have for many other saints, such as Teresa and John Vianney, we may say that we know both more and less. Concerning biographical data, concrete facts, historical happenings, we know less about the former than we do about the latter. From the extensive eyewitness accounts given for the canonization processes for the Curé of Ars and for Teresa of Jesus, we know a great deal about their daily activities and about how they appeared in the eyes of others. The latter also tells us much about herself in her autobiography, her Book of Foundations and the many letters that have survived. St. John of the Cross said nothing about his activities in his major works, and a mere handful of his letters have come down to us. However, we do know from other parties enough of his manner and deeds to form an accurate picture of his personality. Ratzinger on "Primacy in Love"
Anyone who, after wandering through the massive nave of Saint Peter's Basilica, at last arrives at the final altar in the apse would probably expect here a triumphal depiction of Saint Peter, around whose tomb the church is built. But nothing of the kind is the case. The figure of the Apostle does not appear among the sculptures of this altar. Instead, we stand before an empty throne that almost seems to float but is supported by the four figures of the great Church teachers of the West and the East. The muted light over the throne emanates from the window surrounded by floating angels, who conduct the rays of light downward. ... including books, films, art, music, and more. Do you have any comments on the current health state of American Christianity? It is common to hear two extremes: that America is teetering on the edge of a radical, right-wing theocracy that will soon strip non-Christians of their rights, or that America is now thoroughly pagan and "post-Christian" in nature, having abandoned its Christian beliefs in the 1960s. I think that neither of these notions is accurate, but they do offer some insight, however skewed, into what is a very complex and murky matter. I believe it was Chesterton who remarked that America has the soul of a church. I think there is still some truth to that, but I also believe that the "church" in question has increasingly become a hazy form of "whatever works for me" spirituality that clings to vestiges of Christian symbolism, language, and practice while abandoning the core of authentic, orthodox Christianity. This is very common the Northwest, where I live, which is the least churched area of the United States, but is filled with every sort of spirituality and skepticism, including Eastern mysticism, neo-paganism, vague pantheism, neo-Marxism, and everything in-between. On the other hand, there are substantial pockets, if you will, of orthodox Christianity, both Protestant and Catholic (and Eastern Orthodox). I think that one of the important shifts in American Christianity in recent decades has been the growing respect and trust between many Catholics and Evangelicals, something impossible to imagine just 60 or 70 years ago. And then there is the growing and often blatant chasm between more orthodox, historical Christian traditions, and forms of Christianity that pursue the latest cultural and academic fads: radical feminism, deconstructionism, post-modern relativism, and egalitarianism. Christianity in America faces numerous challenges. But it always has had difficult challenges, and it is more lively and vibrant than what can be found (if it can be found) in Western Europe. How and when does God enter your thoughts during the course of a day? Could you describe your personal understanding of a graceful God? I'm fortunate, I suppose, in that much of my work involves reading and editing materials that have to do with theology, so I am regularly considering matters relating to God. The danger is that it can simply become a job. I find that having two young children makes me mindful of God in many ways. For example, being a parent causes to me to see more clearly my many weaknesses and failings, which in turn causes me to turn to God for wisdom and grace. Also, my wife and I believe that we are the primary teachers of our children, so we look for opportunities to instruct them about Jesus, the Church, and the Church. Teaching a weekly Bible study helps me to focus on Scripture and my relationship with God. In our class we always end up discussing the Faith in a way that is both relational and practical; I believe that theology has everything to do with the life of holiness. Once theology becomes merely academic, spiritual rot easily sets in. As a Christian, I find it more and more important to contemplate, in thought and prayer, the Triune nature of God: Father, Son, and Holy Spirit. Again, this isn't a matter of abstract theology, but has everything to do with the ground and basis of reality. The Triune God is Relationship: perfect, whole, and loving. I am invited to enter into a life-giving relationship with the Triune God; to become a partaker in the divine nature, through the Son and in the Holy Spirit, because of the loving will of the Father. This reality is expressed in a profound and powerful way in the Liturgy; it is the basis of the liturgical calendar; it is the message of the Bible. As I try to consider and reflect on this each day, even if for just a few moments, it further shapes how I treat others, how I live among my neighbors, and how I fulfill my responsibilities to my community and nation. How do you think the Catholic understanding of God differs from a Protestant vision of God? How do these different understandings of God affect one's spirituality and worship? That is almost impossible to answer, largely because I don't think it can be said that there is an understanding of God that most Protestants would share today. Perhaps we could go back to 1520 or 1550 and consider the classical Protestant view of this or that, and compare it to Catholic teaching. But I think that many Evangelicals share with Catholic and Eastern Orthodox a view of God that is far different than, say, that held by a mainline Protestant who practices yoga, thinks wicca is lovely, and refers to God as "She". But, speaking in very broad terms, I think that Catholics and Eastern Orthodox see the world with a sacramental, incarnational perspective that recognizes that God works in and through the material realm to give us His divine life and grace. While more and more Evangelicals are appreciating and considering that viewpoint, they tend to see the material realm in a more detached way; they often approach their faith through reading a book, the Bible, rather than living in a Tradition from which that book emerged in an organic way, if you will. There are many exceptions, on both sides, to this general observation, but I think it has validity. And it points to those important places topics that Catholics and Evangelicals need to continue talking about.